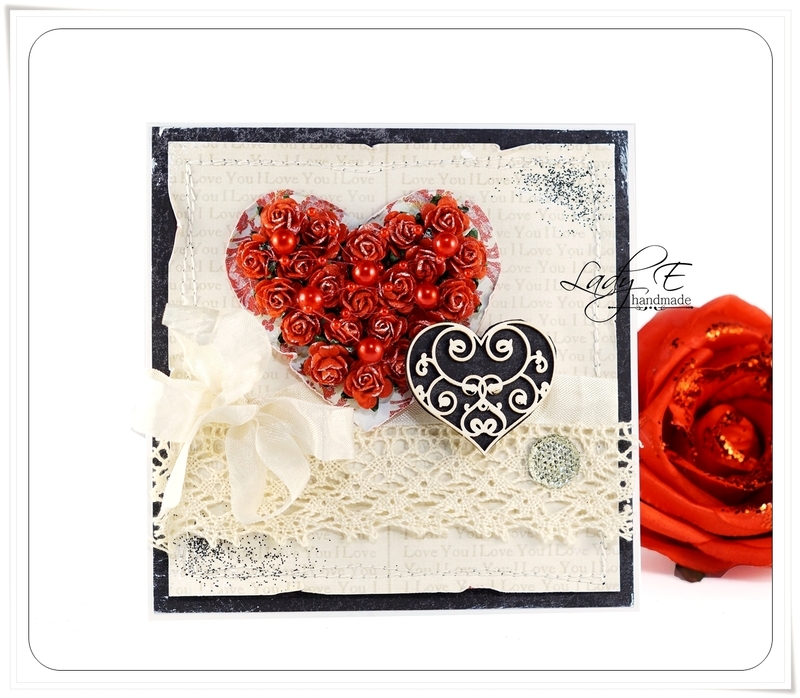 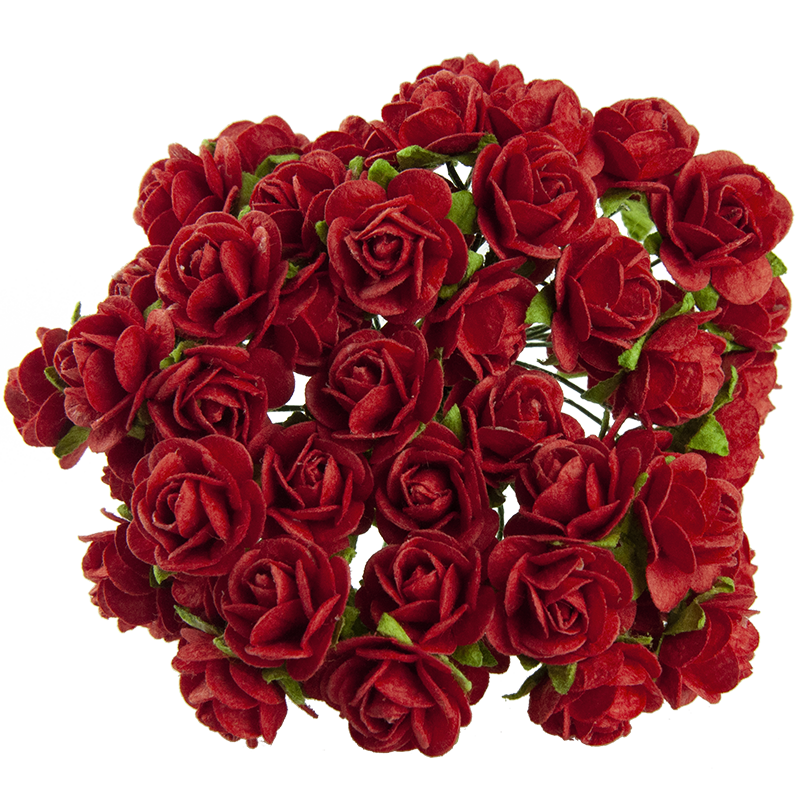 Red mulberry paper roses handmade from fine quality mulberry paper. 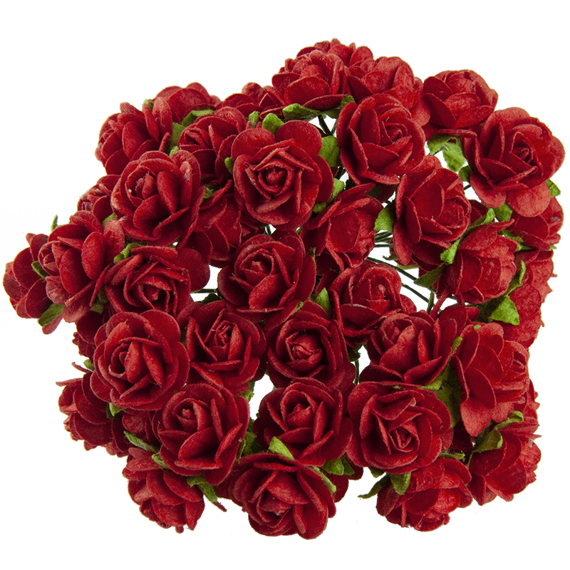 Each flower has a long thin flexible green wire stem that is 6 - 7cm long (2¼" - 2¾"). 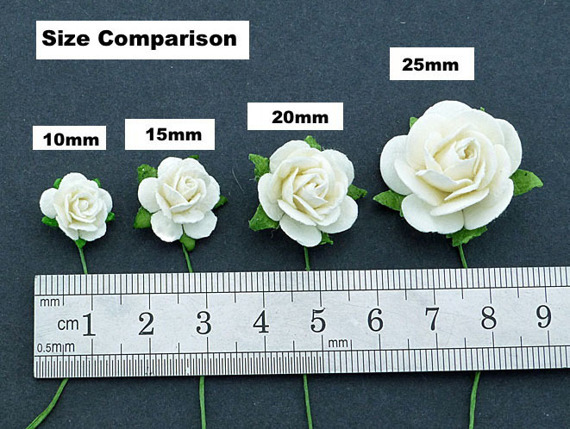 Sizes: 10mm (⅜"), 15mm (⅝"), 20mm (¾") and 25mm (1") - Choose below.